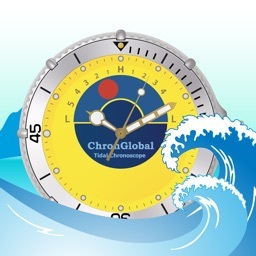 ChronGlobal Tidal Chronoscope by ChronGlobal Corp.
KNOW GPS TIDE PREDICTION AND TIDES AS EASILY AS THE TIME. 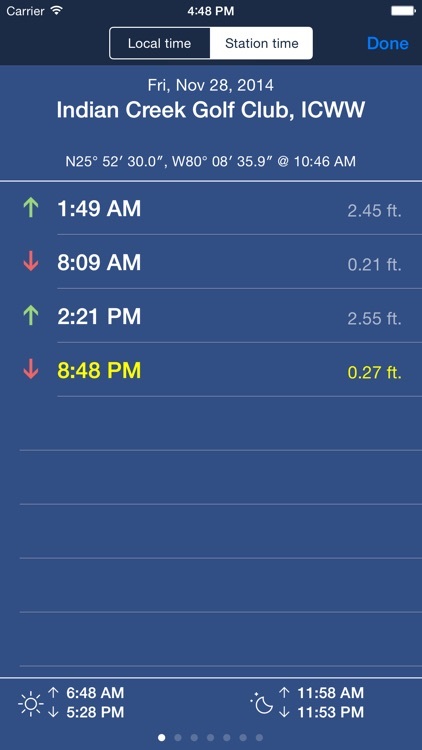 Works as a tide chart, tide graph and tide table, but in a wristwatch format. The Tidal Chronoscope provides an intuitive depiction of present and future tides for USA and many worldwide tide stations. Instantly, and at your very location. 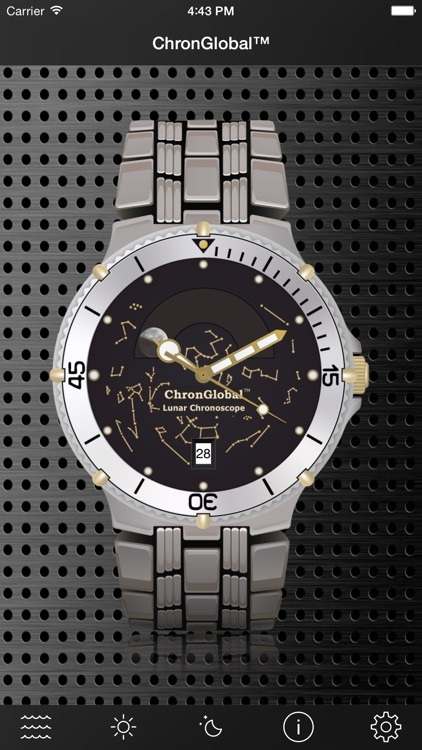 Along with lunar and solar positions, in the look and feel of the most popular tide watch ever. ***Please check the Station List page on our website (http://www.chronglobal.com/station-list/) to ensure your country and/or your location is covered. Instant depiction and details of present and future tide predictions, lunar and solar positions. Our website provides a list of USA and International tide stations covered. 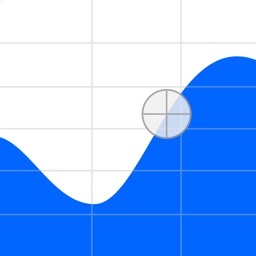 △ Automatically retrieves local tide predictions from tide stations in USA and worldwide. 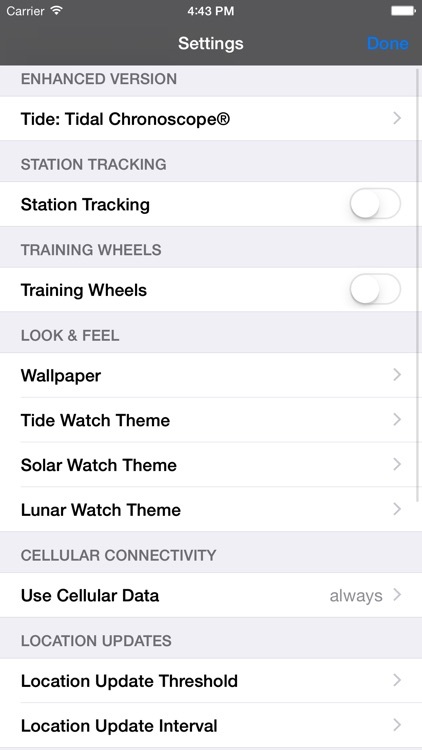 Optional manual station selection. 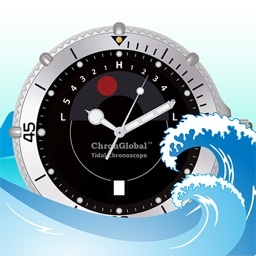 ▼ Dedicated watch face for the visual depiction of the tide level at the current time, and up to to 7 days into the future. △ Dedicated watch face for the visual depiction of the relative position of the Sun in the sky. 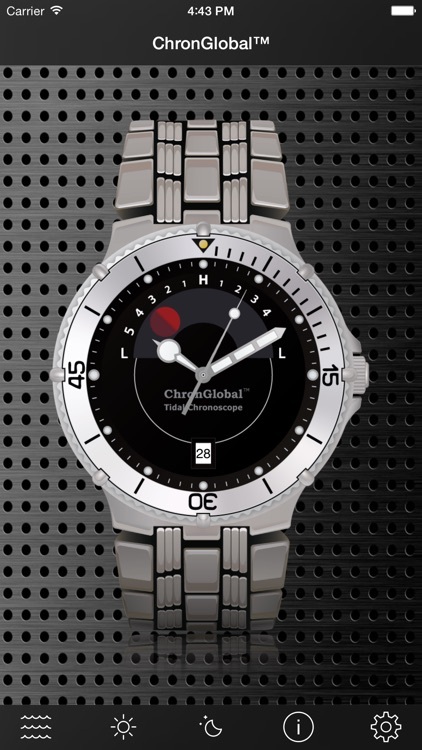 ▼ Set the watch to up to to 7 days into the future to see all relevant predictions for that time. 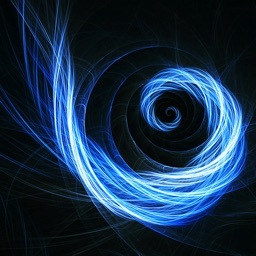 is Not for Navigational Use. 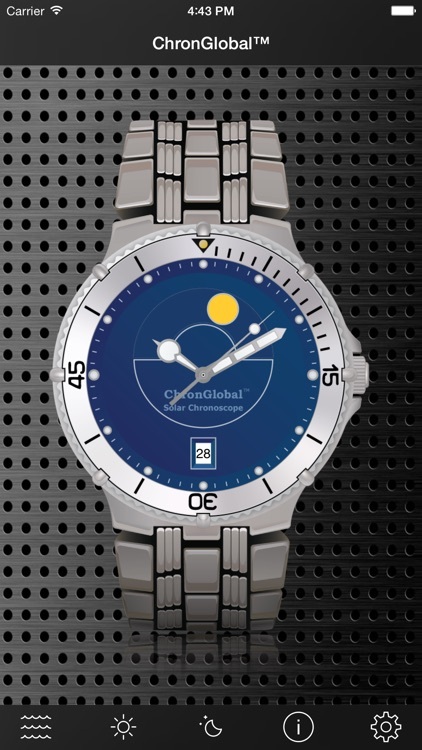 (http://www.chronglobal.com/station-list/) to ensure your country and/or your location is covered. 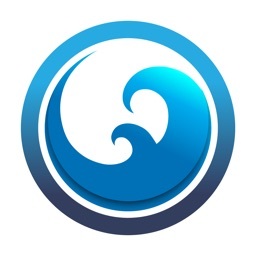 Please Note: Due to licensing requirements, we can no longer provide tidal information to the following countries: Australia, Bahrein, Belgium, Brazil, Canada, Chile, China (People's Republic of China), Columbia, Ecuador, Finland, France, Germany, India, Indonesia, Italy, Japan, Malaysia, Mexico, New Zealand, Norway, Pakistan, Peru, Russia, Singapore, Slovenia, South Korea, Thailand, Uruguay.